We go beyond rendering your images or documents. We will help you find the most efficient and cost-effective process for document and graphics internationalization so you don't have to do things (or pay for them) multiple times. These is no single package used for creating and publishing content. When documents are translated, a number of elements have to be modified to ensure that the layout looks correct and appropriate for the target language. Tables of contents, indices, and page layout (size, orientation, breaking, spacing) often require some adjustment. In addition, documents published on the web often require the generation of pdf output. Finally, due to the richness of the graphic elements (static, animated, and flash) on the web, graphics do not only need to be translated and rendered. There are many instances when reference to the size of graphics in html files, templates, or stylesheets has to be changed in order to ensure that the display is acceptable. Our graphics and desktop publishing specialists understand the complexities of dealing with multilingual content. They will analyze your data and requirements, prepare text for translation, and generate the appropriate output. When a combination of a desktop publishing package and a language are incompatible, they will advise you from the start and propose workarounds so you can still meet your delivery goals. Why should you trust a localization company to perform the desktop publishing and graphics tasks? Getting the right local visual assets requires more than just design and technical skills. It requires knowledge of localization and the technical limitations involved in the process, as well as the linguistic knowledge to produce a truly local look. 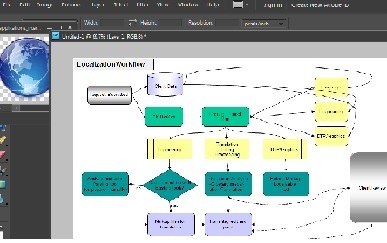 Specialized process and tools for identifying and extracting localizable text and graphics. Expertise in dealing with the complexities of different writing systems (such as right to left languages) and scripts. Assets for multilingual environments, including fonts, multilingual versions of products used for dtp/graphics handling. Linguistic knowledge required for regeneration and checking of table of contents, indices, wrapping, and other language-specific mechanics.